In between summer classes, coffee shop chess tournaments and Irish jigs, Oklahoma fundraisers dominate this week’s Arts & Entertainment list of events. The annual “no-tie gala”, 21-and-over Zoobilation fundraising party for the Oklahoma City Zoo takes place Friday evening on the Zoo grounds. Talk with zookeepers over food and specialty drinks (apparently there’s something called a “Zootini”) and hear the musical stylings of the Big Daddy Band. 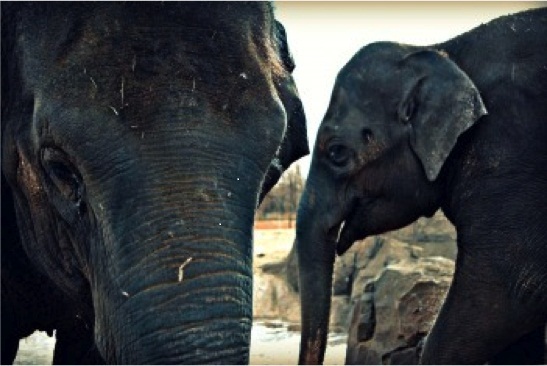 There’s also a silent auction with all proceeds benefiting the Zoo’s Elephant Habitat. For those that have hung on to your leg warmers, Walkman and Wham! cassettes, Easter Seals Oklahoma holds its Totally Awesome ‘80s! : A Blast from the Past fundraiser this Friday. Partygoers (21 and older) are urged to dress up like their favorite 80’s icon to support programs that aid individuals with disabilities in Oklahoma. For a fundraiser that the whole family can participate in, the 9th Annual Cops on Doughnut Shops happens all day Saturday starting at 7:00 a.m. Twenty law enforcement agencies visit Krispy Kreme locations on North Penn and SW 74th to raise some “dough” for Special Olympics Oklahoma. They’ll display police equipment, armored vehicles, patrol cars and police robots and give out goodies for the kids. The goal for this year: $30,000. School may be out for kids across Central Oklahoma, but that doesn’t mean the learning has to stop, too. Youngsters have the opportunity to attend a few summer classes this coming week including medieval arts, fishing, ceramic working and dance classes. Michelangelo's Coffee Shop in Norman holds an open community chess tournament for all levels June 18th. On the music scene, Sonder Music holds its Third Friday Celtic Night with traditional Celtic tunes, a potluck, and even Irish square dancing lessons. One of the largest gatherings of evolutionary biologists in the world happens this weekend at OU. Though registration is required for most of the 2011 Evolution Conference, Brown University biology professor Kenneth R. Miller delivers a free, public lecture at noon Saturday. During his lecture “So Simple a Beginning – Why Evolution Matters in America Today” at the Norman Embassy Suites Hotel, Dr. Miller will accept the 2011 Stephen Jay Gould Prize. And the METRO Transit System implements its latest effort to help improve the air quality of the city this Friday. Every third Friday through September, METRO offers complimentary bus rides all day on any Oklahoma City METRO Transit route. For details on these events -- and many others -- see the full calendar by clicking here.